Contemporary Chinese is now out of date as the first edition has been superseded, but it still provides plenty of practice for beginners as a stand-alone product. 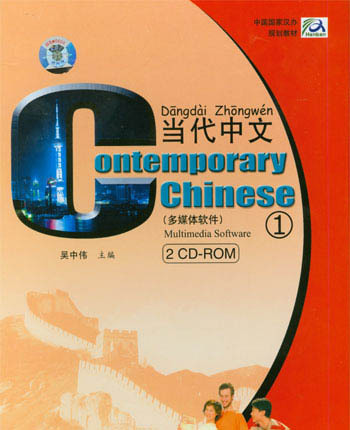 The The ultimate goal of this CD-ROM is to develop the student's ability to comprehend and communicate in the Chinese language. Specifically, it provides training in listening, speaking, reading, and writing Chinese. This CD-ROM includes: >1. Text, vocabulary, sentence patterns, grammar, phonetics, and cultural notes >2. Characters: Relevant information about each Chinese character is given, including definitions, pronunciation, word usage, and stroke order. Various kinds of exercises are also included to practice reading and writing of each character >3. Exercises: These exercises are comprehensive and vary in form, covering listening, speaking, reading and writing >4. Video: There are interactive videos, which accompany each lesson. These videos are provided to offer a visual learning experience, which allows students to learn outside the written text.